While staying in Paris during my week-long vacation in October, I took a couple of day trips to other cities not so far away. 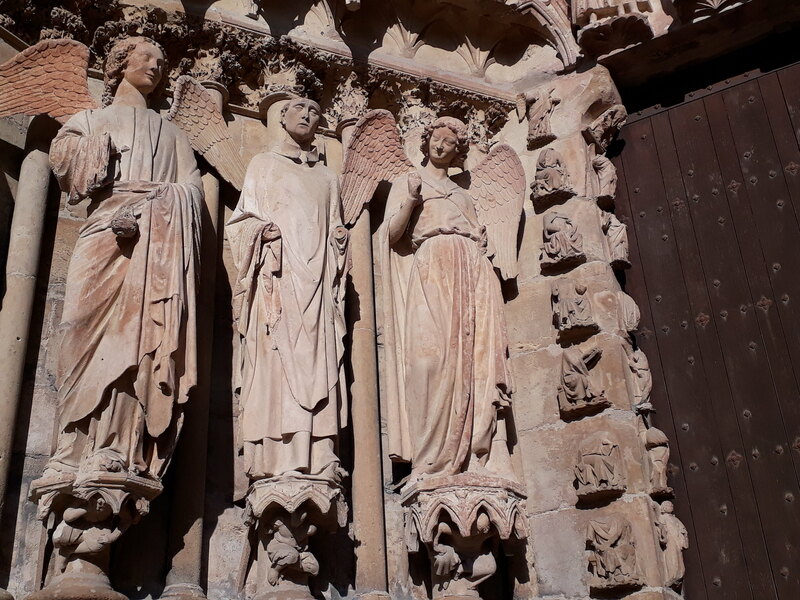 Aside from visiting the majestic château de Chenonceau, I also decided to take a day trip to Reims, located about an hour east of Paris and known for being in the heart of the Champagne region (famous for champagne-making, of course). Pronounced “rance,” Reims had interested me for quite some time. It was namely due to the fact that it was in the Champagne region and the hub for such bubbly beverages– in fact, I heard that you can only call it “champagne” if it was produced in this small, specific part of France, which makes it all the more prestigious. 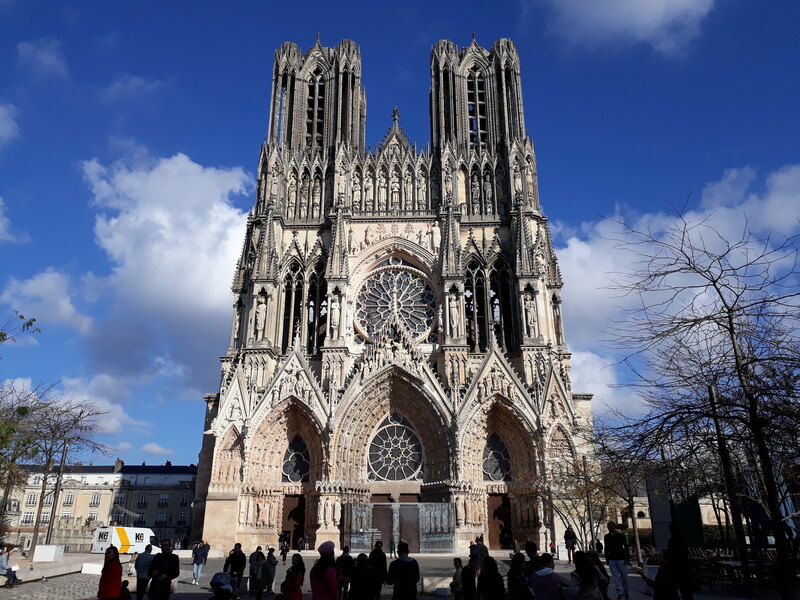 Plus, it’s known for having a cathedral that was once where French kings were crowned, so there were things to check out in Reims besides just champagne tasting! There were relatively-frequent trains to Reims from Paris, so with that said, I headed out not too early on my last full day of vacation, catching the morning train over. 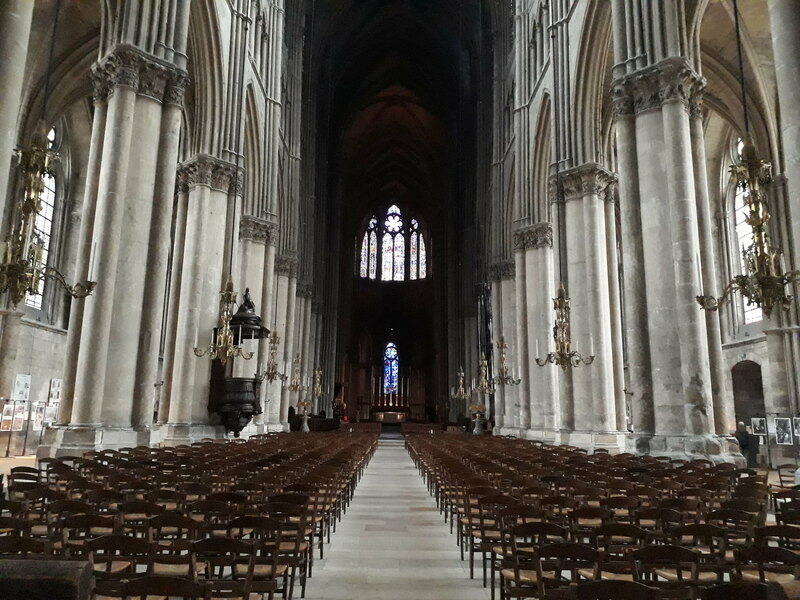 I arrived in Reims around 9:30, and I puttered around the cathedral area, even checking out the interior, before I headed south of the city to the champagne-tasting “quarter,” as I’d like to call it. In actuality, many of the reputed champagne-tasting houses are outside of Reims in the countryside, only accessible by car (and more time). 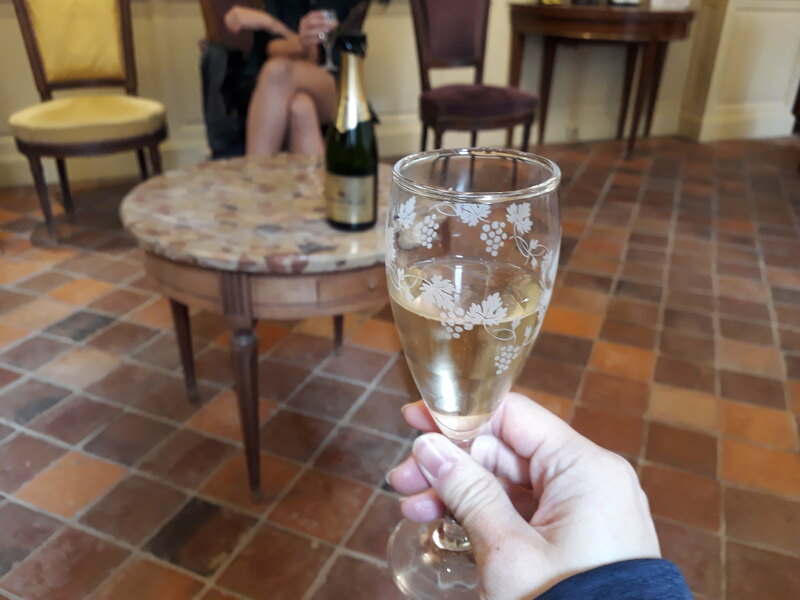 Since I was only limited to Reims, I ended up doing champagne tasting at one of the houses within the city limits– a friend had recommended to me GH Martel, which offered tastings at very reasonable prices (considering that champagne is very expensive). For 12 euros, one could have a flight of three champagnes to try out, which was definitely a good deal! I entered GH Martel as soon as it opened at 10:00, and I enjoyed the champagne tasting, with two whites and one rosé (the last one being rather intense). The guide (and champagne expert) was really informative as I, along with another customer, tasted each one, and I left learning a bit more about what champagne was…and also left a bit tipsier than before! 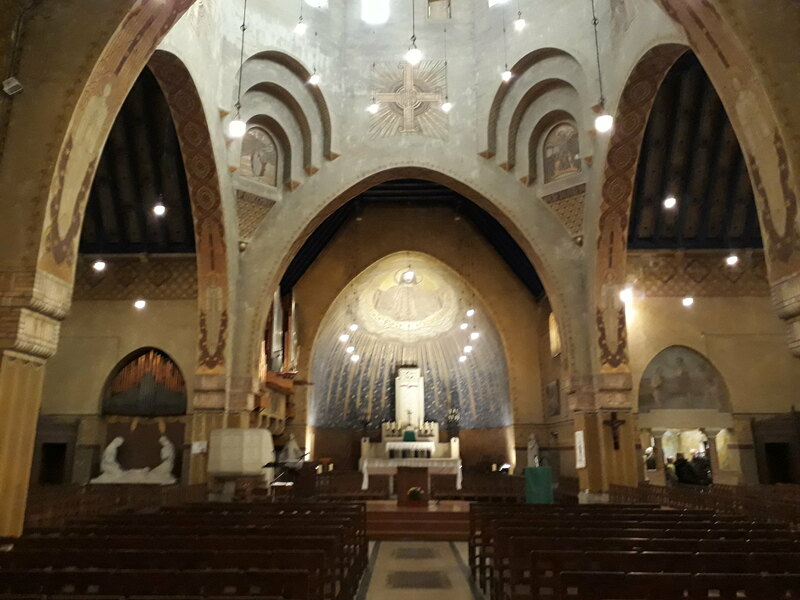 I checked out the Saint-Nicaise church, a small one not too far from GH Martel, which had a surprisingly-lovely painted interior– definitely understated! I soon returned to the city center where I got lunch at place Drouet d’Erlon (which was Indian food…go figure). 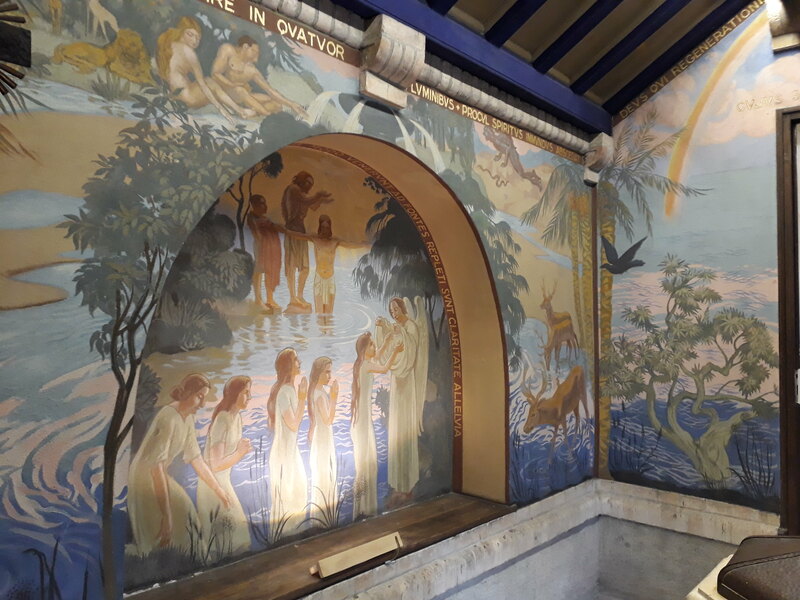 Painting inside the Saint-Nicaise church. 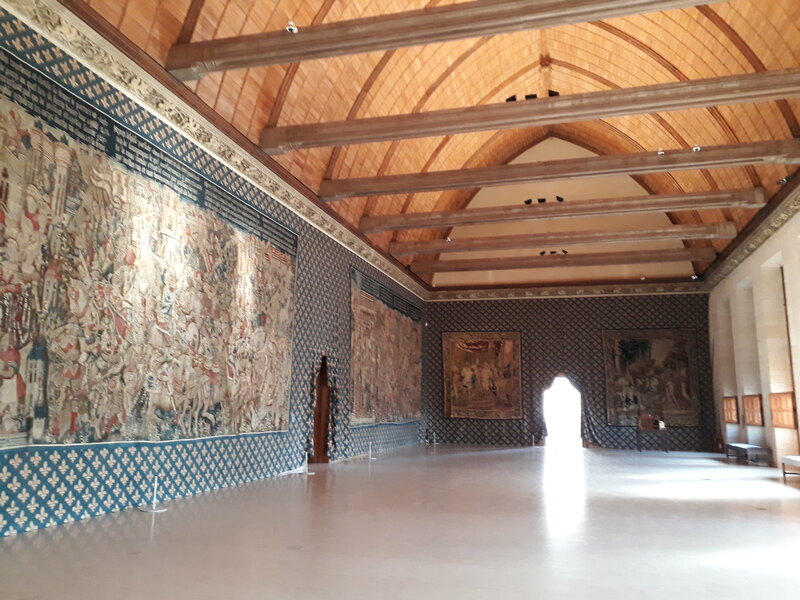 Following lunch, I checked out the cathedral once more before visiting the palais de Tau, which was the palace of the Archbishop of Reims– today, it’s a museum which houses tapestries and other artifacts of the cathedral. Admission was free for EU residents (which I am), so it helped. While I didn’t spend too long visiting the place, it was nice spend time in, especially when I was running out of things to do, and I still had to wait until my late afternoon train back to Paris. 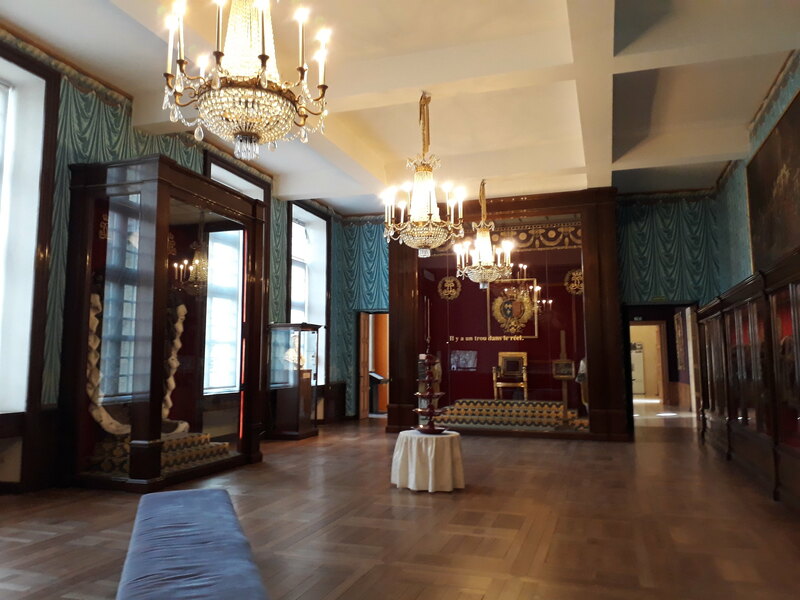 Inside the Palais de Tau. In the end, I just went to a coffee shop and ordered a latte while waiting until it was about time to head to the train station. I eventually caught the 17:15 train back to Paris, returning in the early evening. It’d been a long day, and although I would say that there isn’t so much to check out in Reims (aside from champagne tasting and the cathedral), it’s worth spending some time in to experience a bit more of France outside of Paris. …and that concludes my October holidays this year! While I kept it simple by staying domestic, I still enjoyed myself. Granted, I admit that I spent too much on food, drinks, and transportation (and will have to budget for my next trip), but I don’t regret it: I had fun, met lots of cool people, and enjoyed the experiences I made along the way. I’ll be sure to write more of my travels here when the time comes. Thanks for reading!